Murphys’ Forest Meadows offers the Robert Trent Jr. 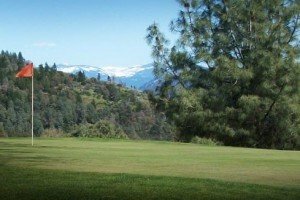 Golf Course — a beautiful course nestled the oaks, pines, cedars and meadowland of the Sierra Foothills — as well as an on-site restaurant, Alibis Grill & Lounge. While the golf course is home to several tournaments, the restaurant can be reserved for weddings and other special events.